Keyakizaka46 first official mobile game "Keyaki no Kiseki - The Story of Keyakizaka46" has revealed the first trailer and screenshot on 24 July 2017, you can check out the official web site. 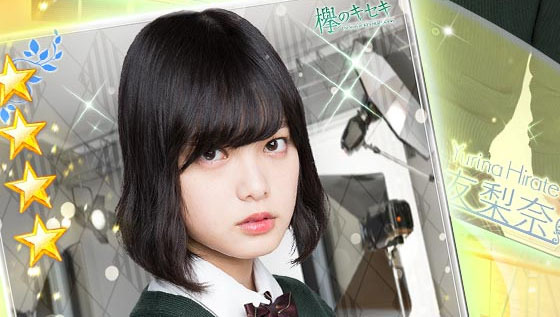 The mobile game "Keyaki Keseki" is stories of idol group Keyakizaka46, the game uses 1,800 episode to tell the stories, and player will be the manager of Keyakizaka46 in the game. The game includes Main Story, Member Story, Card Story, and Group Story, it features card collection, video collection, mini puzzle game, and members' storyline. The game will be released in Autumn 2017.